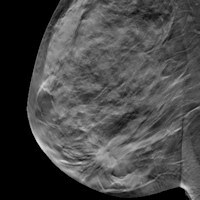 CHICAGO - Adding digital breast tomosynthesis (DBT) to full-field digital mammography (FFDM) improves cancer detection in women with dense breast tissue by 30% versus mammography alone, according to research presented on Tuesday at the RSNA 2014 meeting. Mammography loses sensitivity in women with dense breast tissue, and other modalities such as breast MR and ultrasound are used to find cancers that mammography misses in this population, noted presenter Dr. Per Skaane, PhD, from Oslo University Hospital in Norway. But MR and ultrasound also have higher false-positive rates than tomosynthesis -- which can result in unnecessary follow-up tests and biopsies. Dr. Per Skaane, PhD, from Oslo University Hospital. 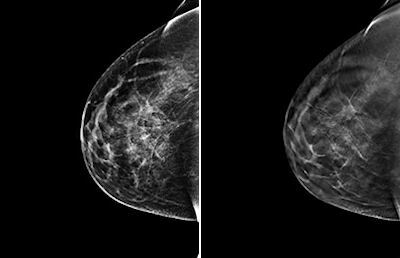 "Our research shows that tomosynthesis has the potential to significantly increase the cancer detection rate in mammography screening of women with breast density BI-RADS measurements of 2 through 4 -- minimal density to extremely dense," he said. "And it would be much easier to implement in organized screening programs than MRI or ultrasound." For the study, Skaane and colleagues included data from the Oslo Tomosynthesis Screening Trial, which comprised 25,547 women between the ages of 50 and 69 who underwent both digital mammography and tomosynthesis. Each woman's breast density was classified based on the American College of Radiology's BI-RADS breast density scale, which runs from 1 to 4, with 1 being the least dense tissue and 4 being the most dense. Eight radiologists interpreted the exams, alternating between the two modalities. All positive cases were taken to a consensus meeting to determine whether to recall the patient for a diagnostic workup. The combination of FFDM and tomosynthesis had a cancer detection rate of 8.1 per 1,000 women, a 30% relative increase compared with FFDM alone, which had a rate of 6.1 per 1,000 women, the researchers found. In addition, the combination exam identified more cancers in denser tissue (BI-RADS 3 and 4) versus digital mammography alone: 80% versus 59%, respectively. Left, 2D FFDM view of breast of 46-year-old woman. Right, 3D digital tomosynthesis view of breast. Images courtesy of Dr. 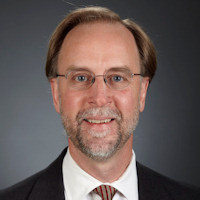 Per Skaane, PhD. In fact, the combination of FFDM and tomosynthesis improved the cancer detection rate in women with a BI-RADS density measurement of 2, or minimal density, from 68% to 84% -- which could have interesting ramifications for clinical practice, according to Skaane. "Ninety percent of women fall into the BI-RADS density categories of 2, 3, and 4, which means 90% benefit from tomosynthesis," he said. "So the practical implication of our study is that tomosynthesis should be the standard for breast cancer screening." 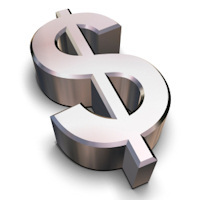 New codes for DBT: Will providers receive payment in 2015?